What inspired you to join Deutsche Bank? 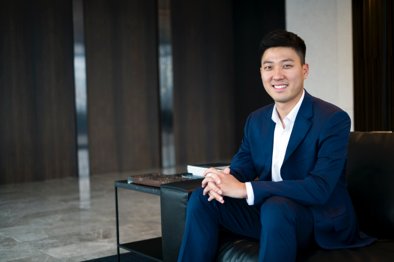 I came to Deutsche Bank last year as a graduate in the technology division after studying computer science at the Hong Kong University of Science and Technology. Nowadays, IT jobs are ubiquitous in almost every sector, and it took me a while to work out what industry I wanted to get into. I wanted to be working with smart, ambitious people on cutting-edge technologies, and make a positive impact. After a summer internship in the financial services sector, I discovered that Deutsche Bank could offer me this kind of environment and truly accelerate my learning and development as a graduate. What’s the culture like in the Technology division? People in Technology are extremely passionate about their work. There is a natural inquisition and fascination with technology that is shared by everyone in the division. They are true experts in their subject, and are always looking for ways to improve the technology within DB. They invite me to bring fresh, innovative ideas to the table as a graduate and are very generous with their time whenever I have questions. There is always someone to learn from, given the great diversity in cultural, education and professional background with Technology. I think this diversity is an integral part of Deutsche Bank's strong, distinctive culture. What are the biggest intellectual challenges you’ve faced? In an earlier rotation, our team was required to perform daily manual health checks on various applications before the market open. I worked on a project to automate these procedures using UI automation scripting technologies. I carried the project forward by discussing the areas of improvement with the team, assessing various technologies and their pros/cons, and finally bringing the project to life with the technical implementation. It was difficult initially to bring people to adopt the new automation, but in the end the project saved a lot of time and effort for my team. It was rewarding to own the project from start to finish, even as a junior. How have you changed during your time here? When I started I was cautious about approaching senior colleagues; I was worried that my lack of experience might show in the questions I was asking. Over the past year, I’ve built the confidence to carry conversations with senior stakeholders, and have tried to maximise my exposure to my managers by asking questions during regular catch-up sessions. Deutsche Bank being such an open environment, it has not been difficult to be active, to reach out and develop relationships with seniors. What do you enjoy most about the graduate programme? My favourite part is the global nature of the programme. During the orientation, hundreds of graduates from every corner of the world came together from all sorts of different backgrounds, and I had the pleasure of making friends and establishing networks across the globe. I built lasting friendships beyond the office, and have kept in close contact with many of my graduate peers. Even once I hit my desk and started the programme, I worked on projects on a global scale, and to this day work closely with my counterparts in many countries on a daily basis. Why should someone work in tech in a bank and not for a tech firm? Finance is a field that attracts top talent, and is where many highly motivated people choose to work. In order to keep up with competitors, banks are required to constantly innovate, and invest heavily in developing top-notch technology talent. At Deutsche Bank, you will be constantly exposed to experts in their domain and be challenged to work on meaningful IT projects. The kind of support you get in Deutsche Bank for personal development is not something you will find in most other companies.